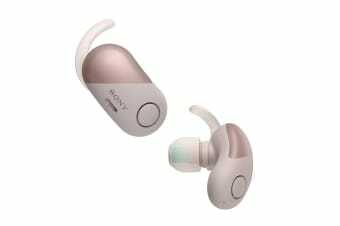 The Sony Sports Wireless Noise Cancelling Headphones lets you listen to your favourite tracks with Bluetooth connection and NFC connectivity, so you won’t be held back by wires. Get the most out of every workout with the Sony Sports Wireless Noise Cancelling Headphones with Bluetooth. Noise Cancelling technology blocks out distractions to keep you focused, while Ambient Sound Mode lets you enjoy your music and still hear your surroundings. Boost your beats and your performance. EXTRA BASS delivers powerful, punchy low-end sound, giving you the drive to keep going. 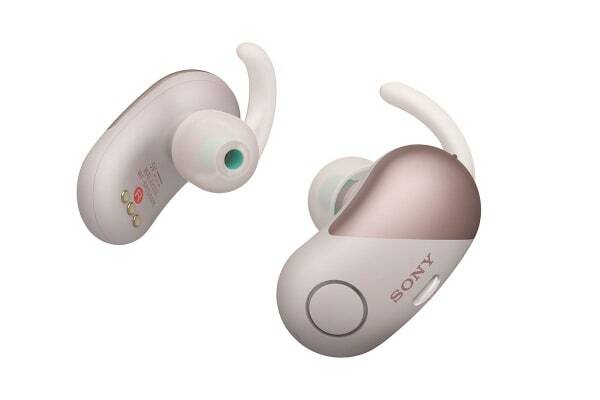 Fully charged, the headphones give you up to three hours of music playback. While the compact charging case not only keeps your headphones secure, it holds a further two full three hour charge letting you power up on the go. That’s up to 9 hours of music playback, so you can keep listening all day. Extensively tested in real workouts, the silicon support fitting makes sure they stay comfortably in place.